« New Country. New Beer. 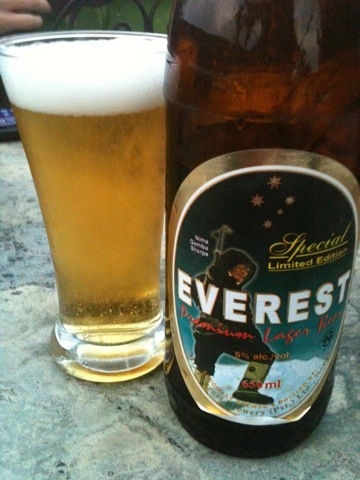 We just arrived in Nepal. As we crossed the border we set our watches and cameras back two hours and 15 minutes (UTC +5:45). Not sure whose idea it was to put them a quarter of an hour off from the rest of the world but we’re going along with it. Of course, that’s nothing compared to China’s time zone craziness. 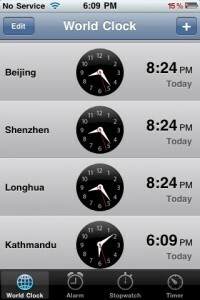 All of China is in a single time zone UTC +8. This is despite the fact that China spans five international time zones. It’s a policy that’s not ideal for farmers out west — think sunrise at 8 am. That’s why it’s unofficially ignored in a couple of western provinces. I’m sure the Chinese government is working on getting the sun to conform to its time zone policy. I knew about this 15 minute deal from the Cusco airport (!) where they have a series of clocks displaying the (analog) time of various places around the world. Odd. Just, odd.